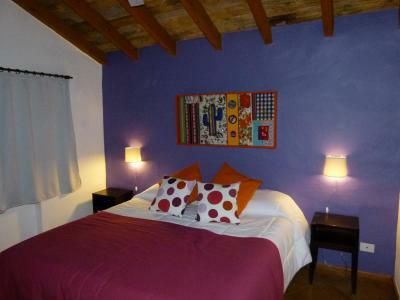 Lock in a great price for La Casa del Abuelo – rated 9.5 by recent guests! They have a comforable terrace with chairs and sunshades which is great for sitting out in the fresh air. The room design is fantastic and appealing. Stunning location set back at the edge of town with a beautiful view of the mountains. Rooms were comfortable and cozy, breakfast was delicious, and I only wish we could have stayed longer. The polenta from the restaurant menu is a must have. My sister and I inhaled it in about 5 minutes and would have ordered it again if we were staying a second night. So roomy and comfortable! A nice location with great views of the colorful mountains. Friendly staff and guests! 1. Location: right near main square, but quiet. 2. Breakfast was very good, with a lot of options, given that it is a small hotel. 3. The room was nicely decorated 4. Staff was very friendly. The owner, Lauri, was exceptionally kind. Because service was somewhat limited, we wanted to arrange bus tickets to San Pedro de Atacama in Chile before we got to Purmamarca. We had difficulty buying tickets online. Lauri went to the bus station when she was in Salta, paid for the tickets out of her own pocket, and was willing to wait until we arrived to pay her back! the room and entire facility was absolutely beautiful and the staff was welcoming, genuinely warm, and very friendly and helpful! Nice looking hotel, helpful staff, good breakfast. The staff were wonderful and very helpful. The manager, Lauri, was exceptional. I had a rental car that I drove from Salta to Purmamarca - the next day the battery was dead. I am so grateful to have had Lauri interface with the car rental agency because my Spanish is not good. Her communication with the agency helped to sort out the situation and I was able to get the car issue resolved. It was a stressful experience and it was her help and kindness that relieved the anxiety I was feeling. Thank you again Lauri for your help. In addition, I loved the hotel...very nice in a great location. 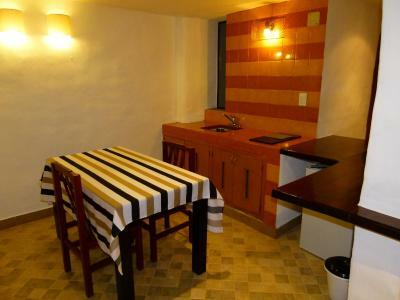 A great property located a block of the main square. 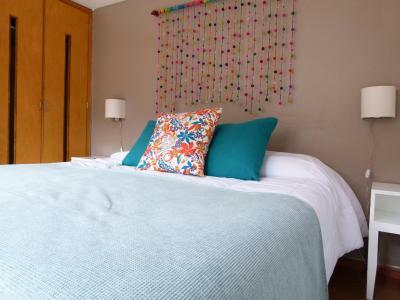 Rooms are stylishly decorated and very comfortable. We were lucky to be upgraded to an apartment style room with a kitchen, sitting area and private deck which was awesome and spacious. Breakfast is very nice with lots of options. They also provide cakes and juice in the afternoon which is a really nice touch! 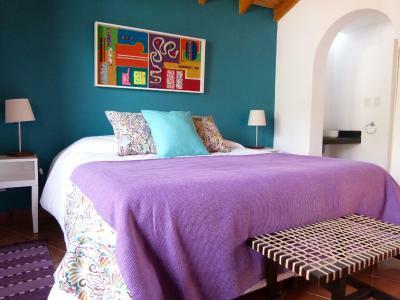 Boasting impressive views of the surrounding hills, La Casa del Abuelo offers rooms with chic, rustic style décor. Wi-Fi is free and the main bus station is 1,000 feet away. Humahuaca Valley is a 2-hour drive. 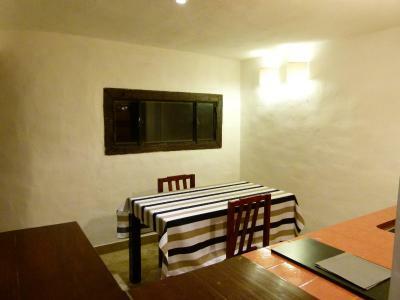 La Casa del Abuelo has rooms with flat-screen satellite TV and views of the hills. Apartments feature kitchen facilities and dining areas. A full buffet breakfast with homemade bread, cereals, pastries and jams can be enjoyed daily. When would you like to stay at La Casa del Abuelo? 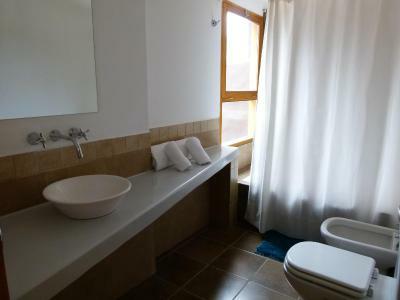 A comfortable room with flat-screen satellite TV and a private bathroom with bathtub. This apartment features 2 rooms, 1 with queen-size size bed and 1 with twin beds, or queen-size beds in both rooms, LCD satellite TV, a fully equipped kitchen, dining and living room, a small private courtyard, and a large private terrace with chairs and a great view. House Rules La Casa del Abuelo takes special requests – add in the next step! One older child or adult is charged USD 23 per person per night in an extra bed. La Casa del Abuelo accepts these cards and reserves the right to temporarily hold an amount prior to arrival. 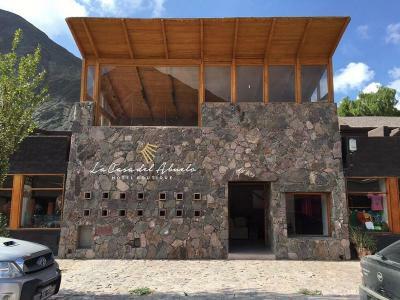 It's a simple but stylish hotel, a few steps from the main square in Purmamarca. The "camino de Los Colorados" (a short hiking trail with unbelievably beautiful views) starts just round the corner. Our room was very spacious and clean, with a nice private balcony and a view over the mountains. Breakfast was very good. Staff was lovely and super-attentive, offering us popcorn, cake, juice during the afternoon and chocolates for goodnight. Excellent! It's one of prettiest hotels in Purmamarca, full of colours. 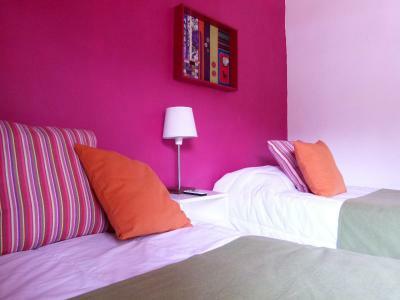 Room was spacious and colourfull, with kitchen and living room, and we even had nice private terrace. 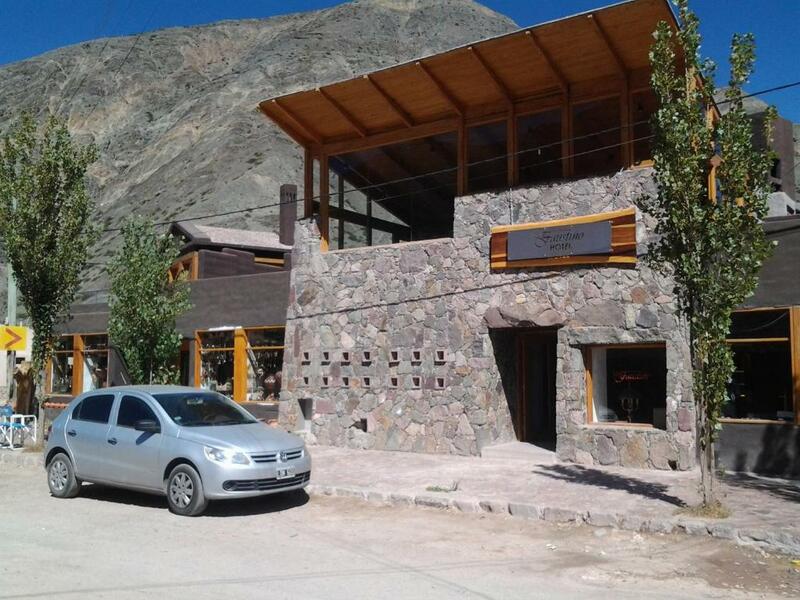 Hotel is in the heart of Purmamarca, you can park your car in front of the hotel on the street. Staff was very helpful and nice. Breakfast was excellent, with many options, and better than elsewhere in Argentina. Breakfast options are bit limited. Good if you like cereal and cake! Located just off the main square which means great location but still very quiet. Fantastic restaurant right next door too. Rooms are really spacious and very clean. Our apartment included all things you’d need for cooking, a small living room and a big bathroom. WiFi was strong throughout! We booked last minute and were very accommodating. Owner also speaks English. Everything! The place is beautiful, clean and with a great wiew. 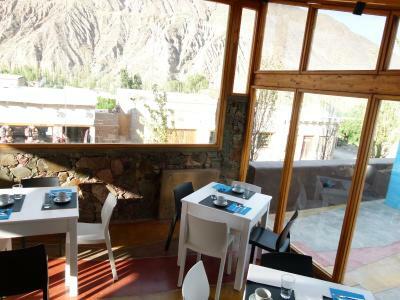 When I arrived I was feeling bad due to the altitud sickness after visiting Hornocal and the attendant told me to relax, sleep and later on when I was feeling better return to do the check in. My apartment was wonderful, full of windows and with a balcony where I could see the amazing landscape and a full moon. The bathroom is great and you can enjoy the bathtub. There is a restaurant and a beautiful shop where you can buy beautiful souvenirs. The breakfast is excellent and I couldn't have been in a better place! It is amazing how they have been able to design and build such a nice hotel in such a remote location. La casa de abuelo has plenty of character and the room was nice and clean. 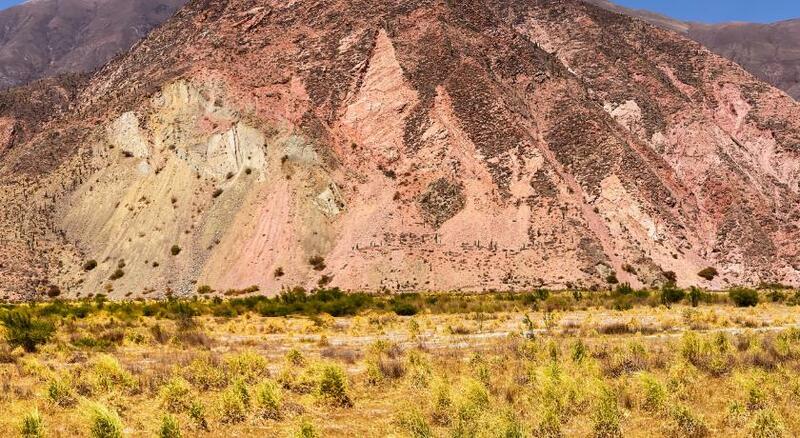 Location is right in the centre of Purmamarca, where you can easily access el cerro de los siete colores. Staff was super friendly and helpful and breakfast was also good. WiFi was a little weak but otherwise no complaints! Great location in a lovely town. Staff were friendly and helpful. Beautiful modern building with great views from the rooftop terrace. Ample and varied breakfast. 1. The room was in need of minor repairs. There was a problem with the radiators: sometimes we couldn’t turn them off, and sometimes we couldn’t turn them on. Also, the hot water faucet in the bathroom sink would sometimes turn itself on after we tried to turn it off. It’s a little bit on the pricey side for this part of Argentina, also the WiFi was pretty slow. Our ‘room’ turned out to be more of an apartment, loads of space and a fantastic outdoor terrace with views of the multi-coloured mountains. Bed was very comfortable and shower was good, staff are very friendly and helpful.